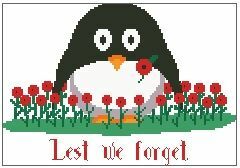 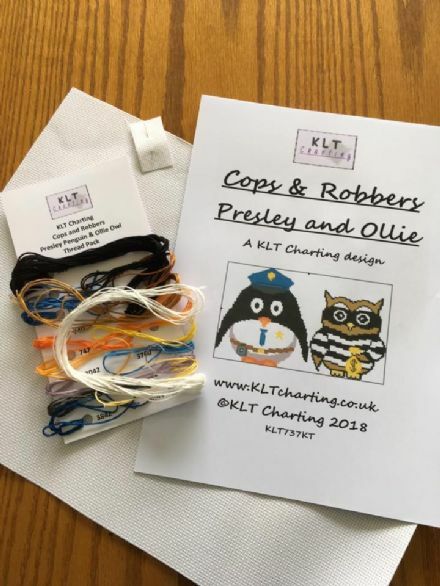 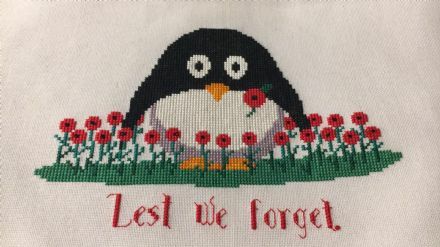 Poppy Presley Penguin is a unique full coverage cross stitch chart measuring 117 stitches wide by 81 stitches high, and has been charted using 9 DMC colours. 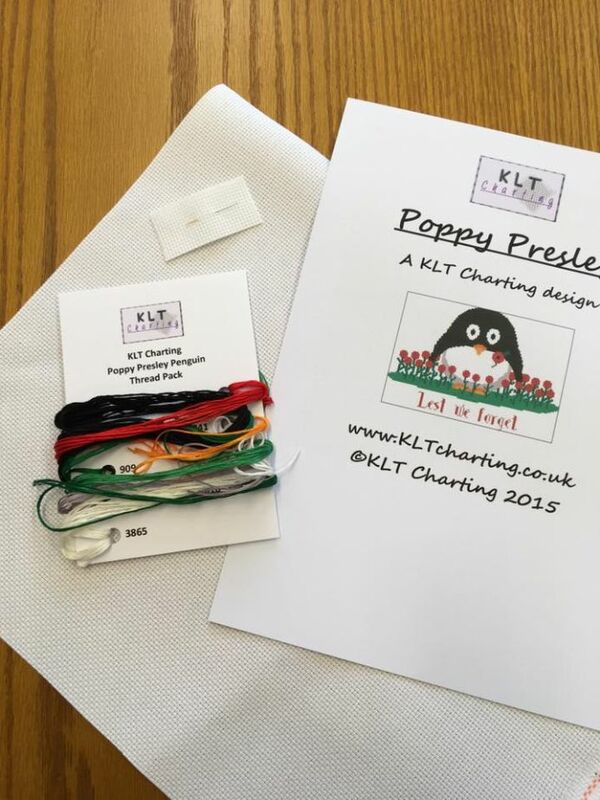 Paper copy of the Poppy Presley Penguin chart (PDF is available as a backup, and is included in the price). The second picture was model stitched by Nan.